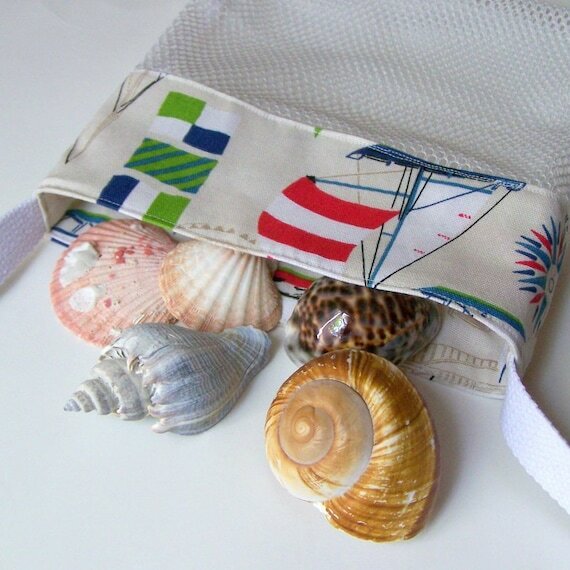 New Mesh Sea Shell Bags are in the shop! These are usually made to order, so you can ask about quantities and strap sizes. I also have a striped fabric shown in a photo below.